I was eager and excited to try Mandala. The note list was right up my alley with its myrrh, spices, resins, amber, and woods, and Masque always does interesting things. Unfortunately, things did not turn out as I expected, so this isn’t a proper, full review but, rather, a short, purely personal account of my experience. I don’t expect it apply to most of you, for reasons that will become clear in due course. Light, rarefied air. Utter silence. Cows lazily lying on the grass stare at you, while you start spinning the prayer wheels. From the monastery comes the monks’ overtone singing – two notes chanting in perfect, peaceful harmony. A myrrh and incense fragrance – light and delicate. A contemplative atmosphere. Vibrating at two levels at the same time. 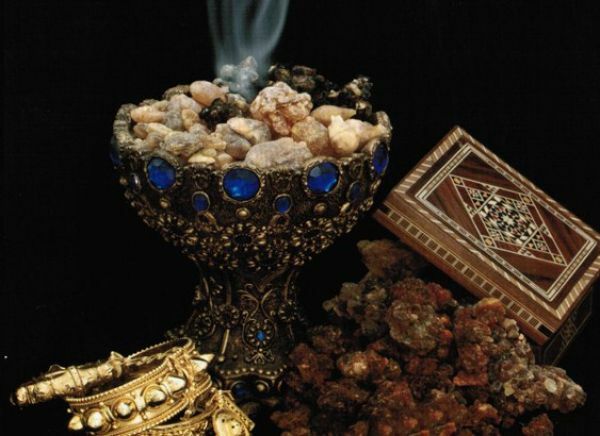 Frankincense, Nutmeg, Angelica, Cardamom, Cinnamon, Cloves, Cistus [Labdanum], Cedar, Incense, Myrrh, Sandalwood, Oakmoss, Tincture of Natural Ambergris. Amber Xtreme. Source: Luca Turin’s blog. I don’t know what exactly and precisely is in Mandala, so I will go with “Amber Xtreme,” in-between quotes, for now, until the company gives me a precise name or confirmation after checking with their perfumer, and then I’ll update this post. In the meantime, I’ll use “Amber Xtreme,” not only because Mandala’s note smells just like it but also because the material made me as intensely, physically ill as Sheiduna, which does have Amber Xtreme in it. As most of you know by now, I’m very sensitive to strong aromachemicals but nothing, and I do mean nothing, impacts me with the severity and force of Amber Xtreme. And, unfortunately, the note in Mandala had the same effect. On my skin, the “Amber Xtreme” is the primary and driving note in the fragrance, but there are other elements layered within. The voluminous nuclear mushroom cloud is infused with dusty, woody myrrh and a really lovely spice blend which is dominated by nutmeg but which also includes a beautiful cardamom note, cinnamon, and a hint of cloves. Bringing up the rear in this procession is cedar and piney frankincense. When taken as a whole and viewed in its broadest and simplest terms (and probably in the terms that everyone else will see it), Mandala is primarily a spiced, dusty, and woody incense-myrrh bouquet, albeit one that is blanketed by a mushroom cloud of dry, intensely smoky woody-amber. I tested Mandala a second time, on a scent strip, because I wanted to have something useful to impart to you, but that wasn’t a success, either. Even though I stayed a small distance away, the black cloud of ultra-smoky, ultra-dry, rasping woody-amber extended across the room, wafting its powerhouse aromas (and its hospital rubbing alcohol). The aromatic myrrh was noticeable from a distance as well, then the soft, fragrant exoticism of its spices. After 15 minutes, I had to move the strip into the corridor outside, then into another room entirely. Roughly every 20 minutes after that for the next two hours, I gave the Mandala scent strip a sniff. There was no change in the notes or bouquet. 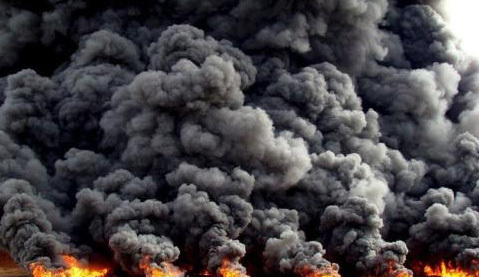 The fragrance simply got smokier, drier, and darker. By the end of the 3rd hour and the start of the 4th, even the passing, occasional sniffs became too much, and I ended up vomiting. 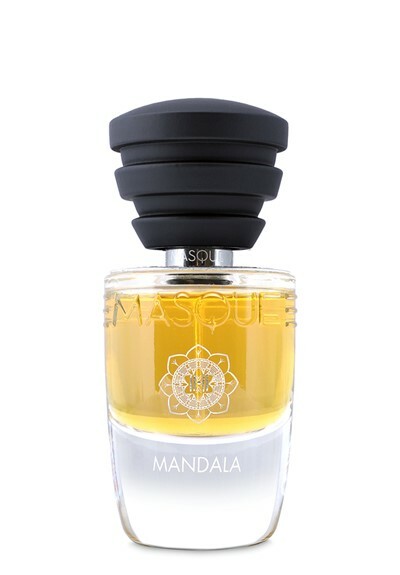 For everyone else, particularly Masque fans who love incense fragrances, I suggest reading the reviews for Mandala elsewhere in order to have a more normal or typical account of the scent experience. On Fragrantica, there are three comments at the time of this post, and all three are favorable. Mandala’s Basenotes entry page has only one review at this time; it bears a “neutral” rating. On Luckyscent, there are three reviews: one is a 2-star rating, the others are 5-stars. (One of the latter mentions an “antiseptic cleaner / medical facility smell,” but she attributes it to the cloves.) Not one of these people, on any of the sites, had an experience like mine, so, again, you probably won’t either. Despite my personal difficulty with Mandala, I’m still a fan of Masque Milano, and I still look forward to seeing what they come up each time. I continue to believe that it is one of the better and more interesting niche brands out there, and always worth a test sniff. Details/links: $165 or €138 for 35 ml of EDP; Masque Milano; Luckyscent; First in Fragrance; ParfuMaria; Neos1911; Jovoy (does not currently have Mandala listed on its Masque page at the time of this review); and Surrender to Chance. Disclosure: I received a sample of Mandala with the purchase of an unrelated fragrance from Luckyscent. I received another sample from Masque Milano. That did not impact this review. I do not do paid reviews, and my opinions are my own. This entry was posted in Masque Milano, Perfume Review, Smoky or Incense Fragrances, Woody Fragrances and tagged Mandala, Mandala fragrance review, Masque Mandala review, Masque Milano, Masque Milano Mandala by Kafkaesque. Bookmark the permalink. I promised I wouldn’t leave a comment because of my propensity for typos, but. . .
What a disappointment! I was excited about reading this review and the scent. “Glorified rubbing alcohol” is something I do not want! What a disservice to the scent of a Buddhist monastery. I have lived in one, FYI, and the combination of quiet and the aroma of incense that imbues everything has a gravitas that deserves a truly magnificent fragrance. Sigh. You’re one of the group of people who shares my aromachemical sensitivities, Julie, but I have to emphasize one more time that, the vast majority of perfumistas would not experience what Luca Turin cited/described as “glorified rubbing alcohol.” You, probably yes. Everyone else, undoubtedly or unquestionably no. The fact that all three Fragrantica reviews are positive supports that conclusion. Most people experience something else, something which is a far cry from what I’ve described or what appears to my nose. Only someone with aromachemical sensitivities is likely to struggle with Mandala. Unfortunately for you, you’re one of them, my dear. It’s a wonder either of us loves perfume, isn’t it? (You know what you love, like, don’t like and can’t wear Kafkaesque) . The house of Masque Milano has a strong fan base, myself included. I myself just sampled L’Atessa because of this. I wore it to work. The girls at work just loved it. Not because I was wearing it , but because I spritzed them a little from the sample . To Mandala .On fragrantica ,I bet people like to see the very long lasting and heavy sillage. It somewhat justifies the cost, and to some it must mean it’s good. I am guilty of that, (was). Back to the work place. Do you think those people would enjoy Mandala like they did L’attesa , or would I get the crinkled nose ? I love incense . I love it for it’s spiritual aspects it can invoke. Spirituality to me means peace, serenity, a calmness that floats in a room. What it shouldn’t mean is a ruler smacked across the knuckles . I have a number of bottles that I got that other people said were good, and that showed were long lasting and emitted a huge bubble. I know you use and enjoy those sites, but take some of it with a grain of salt. That’s why I come here ,and certainly is the reason why I can say , (was). I am sorry you had to endure what you did. Dearest Eddie, I think you should try Mandala for yourself. Like me, you admire Masque Milano, and you enjoy some of their fragrances greatly. You don’t have aromachemical sensitivities. Not one iota. If you love incense fragrances, you should absolutely try Mandala for yourself. My experience will not be your experience. Regarding the girls at your office, who gives a fig what other people may think or smell? If you love the fragrance, you can wear it on your own outside of work. If you don’t love the fragrance, then *YOU* don’t love the fragrance. *YOU* matter first and foremost. Outside compliments are a cherry on the cake, but you can always wear a fragrance for yourself, on the weekends or at home, if you really love it. My advice always — no matter what the fragrance or its notes — is to go by your OWN feelings first, to wear things for your OWN self first. After all, I’m sure you have plenty of things you can wear to work if office-sensitive fragrances are the issue. If you love Mandala, you can wear it elsewhere. Try it for yourself. Then decide for yourself. All that matters is what *YOU* love, my dear. 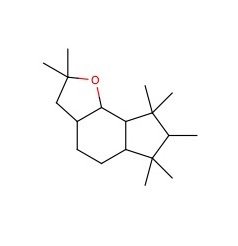 I had high hopes on this one, sigh… A beautiful complex thing, as a Mandala ceremony is, would have deserved a far more sensitive use of aroma hemicals, or any chemicals/notes – and of course we humans would have deserved that too. I’ll have to test it carefully, because recently I became sensitive for strong scents. Great review, as always! Wanted to buy this blindly, cause notes, was all, what I love. But I really trust you. I bought noble leather from YSL and my experience with it, was same as yours. Ugly synthetic crap, I had a headache because this smell. And it was only second perfume in my entire life which caused headache and almost vomite. First was Gucci Guilty. Thanks to you I saved my money! And I already ordered Nobile 1942 Rudis! I haven’t found a single Masque Milano fragrance to love, and it looks like this one won’t be it either. Thanks for giving it a brave try! I am wearing Mandala as I type and enjoying it fortunately. Some of the perfume spirits give me headaches, but not whatever is in this one. It’s spicy and a little quiet actually on me or to my nose. Sorry you suffered through it as much as you did! Life is too short! I’ve just did a second round of testing on Mandala. The middle phase is difficult for me as it is very scratchy and abrasive. It could be the AmberXtreme that you’ve mentioned. The dry down was nice as the scratchiness is soaked down. I think I prefer the incense accord of Mandala to the latest release from UNUM. But surprisingly it felt different then my experience with Sheiduna. Sheiduna was very naseauting-gasoline hell that made my eyes watery. This was just scratchy. I thought it was AmberXtreme that was the culprit in Sheiduna but I wonder if it’s something else now. Btw, I detect the same kind of scratchiness in SHL Mortal Skin and House of Matriarch incense cones. I think it’s probably not as much as Mandala but it’s there. Kudos to Masque Milano for being open with you. I still respect and look forward to future releases from this house. Ha @ the “very nauseating-gasoline hell” because that sounds like Amber Xtreme in a nutshell. LOL! With Mandala, it sounds as though you’re reacting to one of the incense materials instead. You should do a note comparison of the ingredients in Mortal Skin, Mandala, and the House of Matriarch incense cones to try to narrow down which one it may be. That way, you’ll know for the future. To me, it sounds like it may be olibanum or frankincense with which you’re struggling? I’ve found some types of the essential oil to have a scratchy quality in its aroma, especially as it develops. But that’s just a guess. A note comparison would probably yield more information. And, yes, major kudos to Masque for being so honest about the Amber Xtreme!